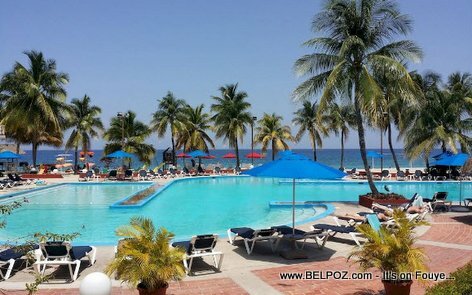 Vacationers are confined to Royal Decameron Indigo Beach Resort, an all-inclusive hotel about an hour and a half from Port-au-Prince on the Cote des Arcadins. The roads between the establishment and the airport in the capital are considered too dangerous. These passengers who booked packages Transat are in good care at the Royal Decameron awaiting the next possible flight. Transat's Haiti packages were canceled until the end of February.